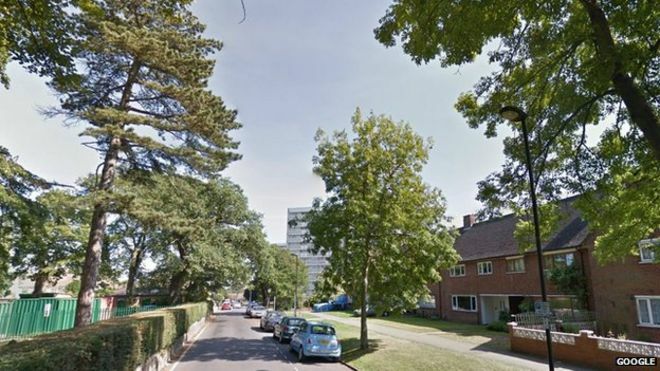 The 43-year-old white man was shot outside a flat on the sixth floor of Picardy House, a 12-storey former local authority building in Enfield. The man, who had been making threats to kill, was pronounced dead at the scene, the Metropolitan Police said. A non police firearm was recovered. The incident has been referred to the Independent Police Complaints Commission (IPCC) for investigation. The police had their “guns drawn” and were “all over the place”, he said. Bob Mallick, 62, who lives on the fifth floor with his wife and daughter, said he was “shocked and appalled” by the shooting. He added: “This kind of thing never happens here. IPCC investigators attended the scene of the shooting this morning. A forensic examination of the scene has taken place and initial house to house inquiries have been carried out.